So I added setting a user defined limit for the filepath length option to my list of improvements to make, this would simply truncate the filename if it was too long. But then another customer JazzNut came up with an even better idea, would it be possible to add this rule to the rename mask ? 1. 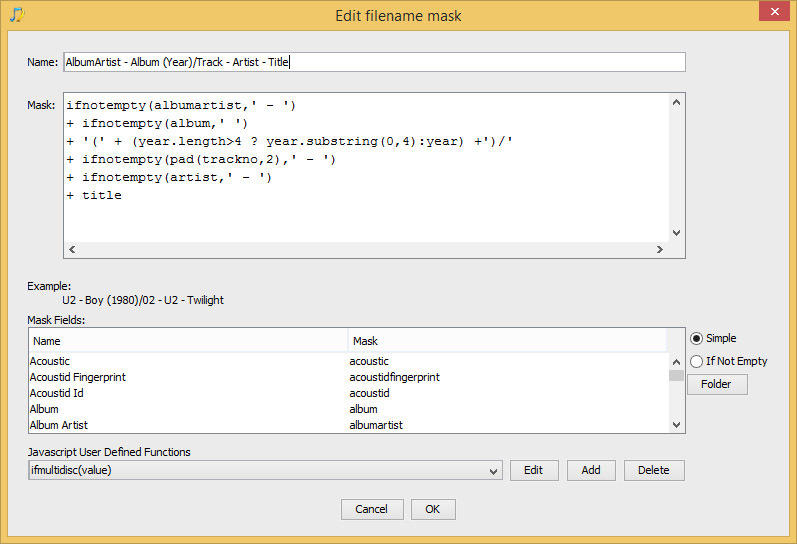 On the File Naming tab, set the Filename Masks dropdown so it is the same as your chosen rename mask, and open it up for editing by selecting the Edit button. 2. 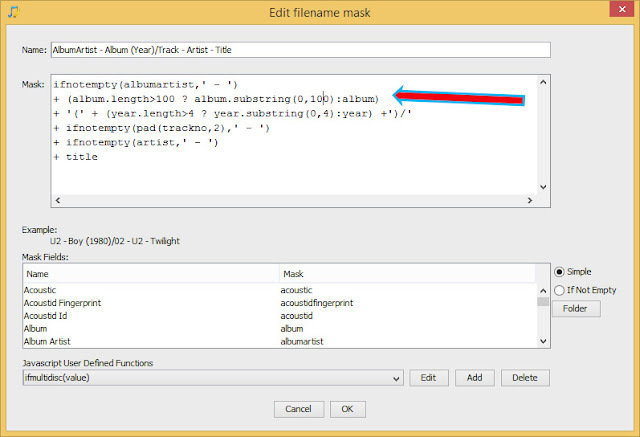 Then use the length function to test the length of the album field, and the substring function to output a truncated version of the album field. i.e (album.length>100 ? 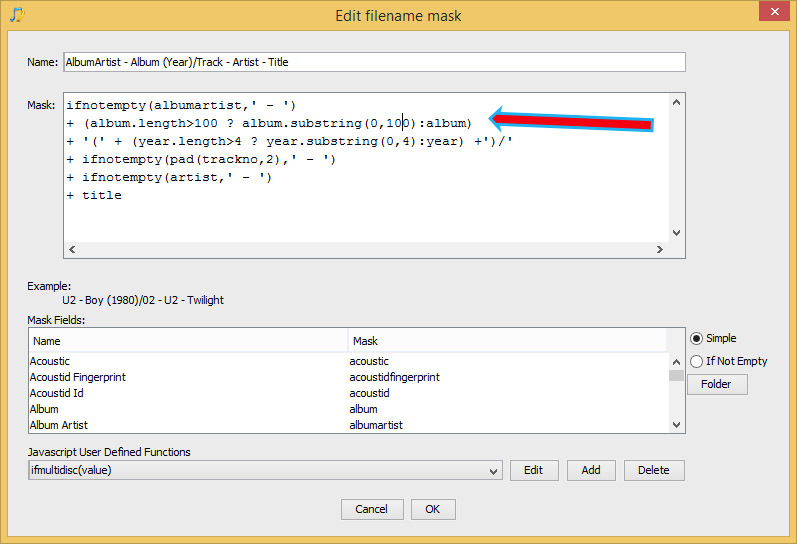 album.substring(0,100):album) to give new mask, then select OK to save the changes. You can use this approach to limit the length of any field, artist and title fields can get long as well, you can use the same approach in Jaikoz as well.